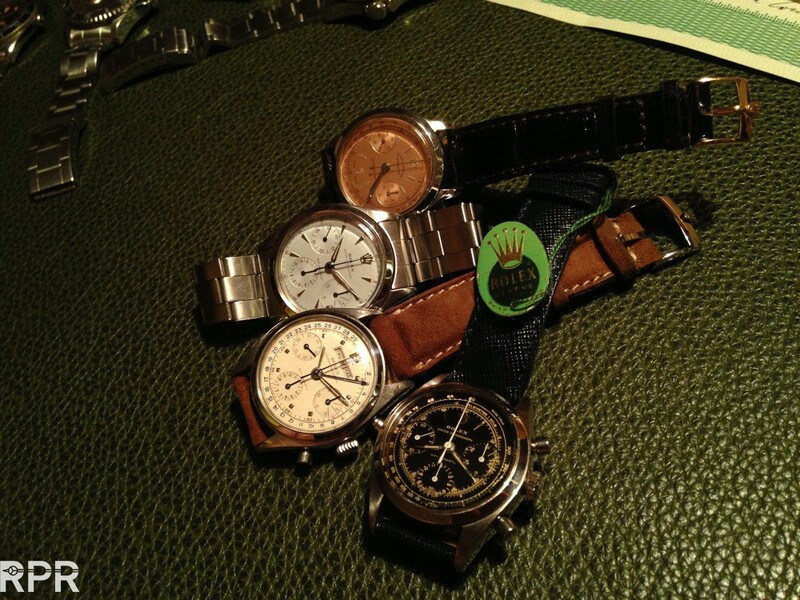 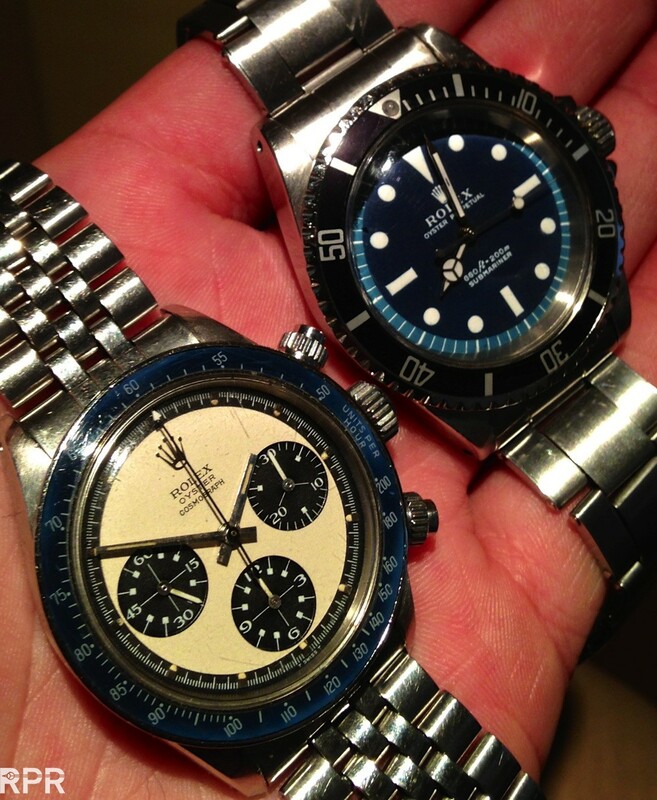 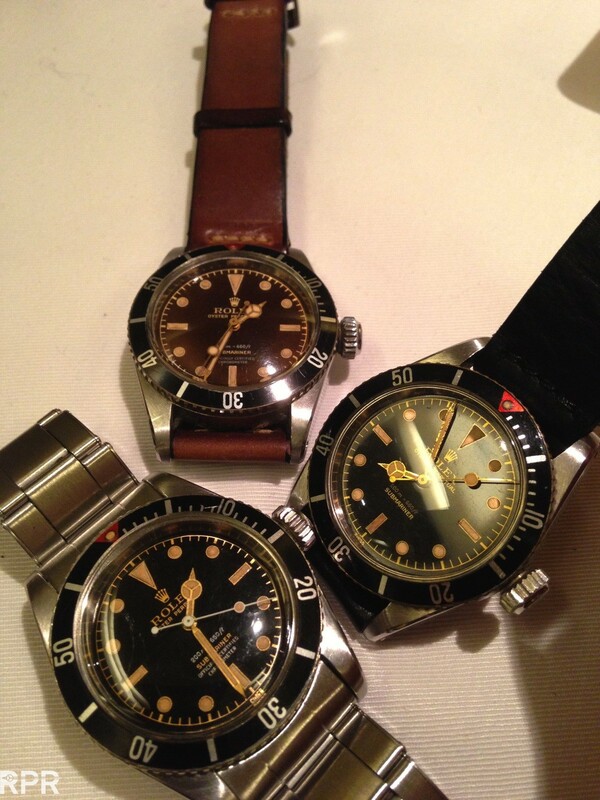 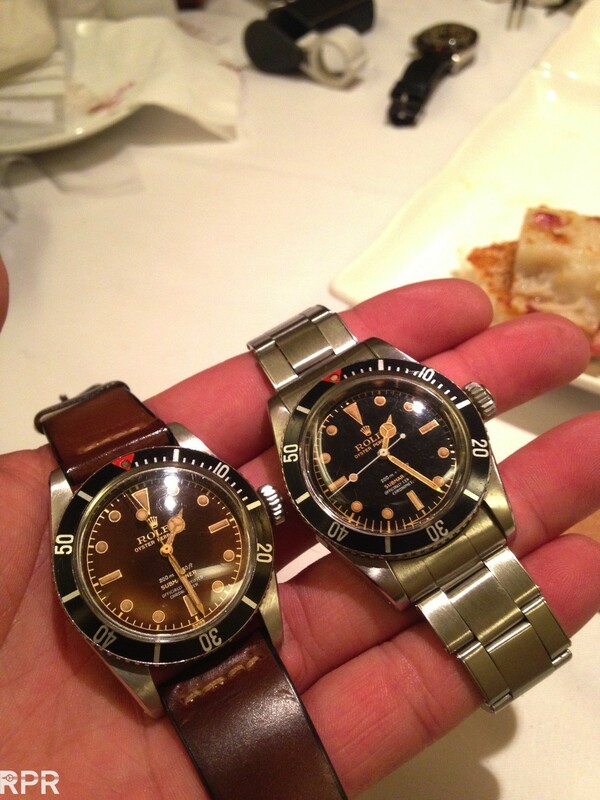 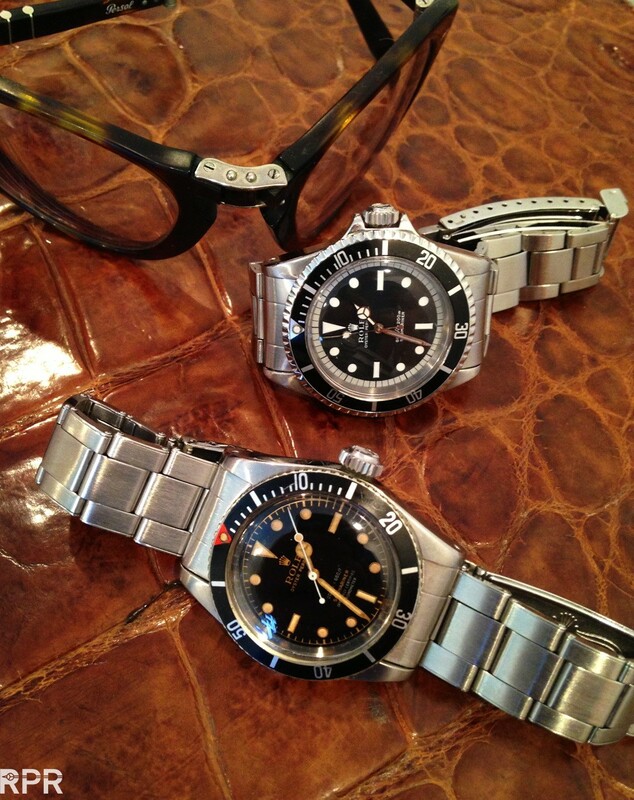 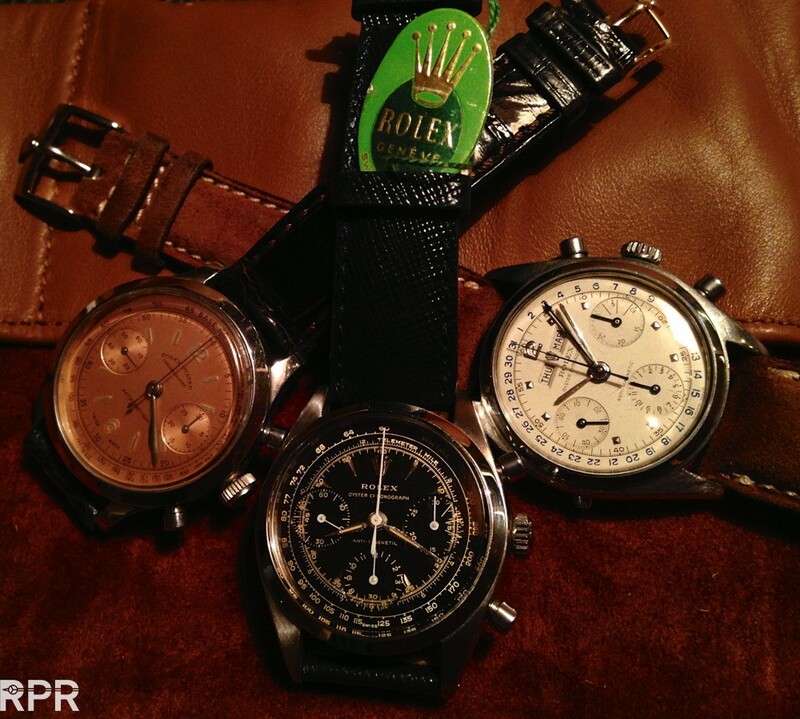 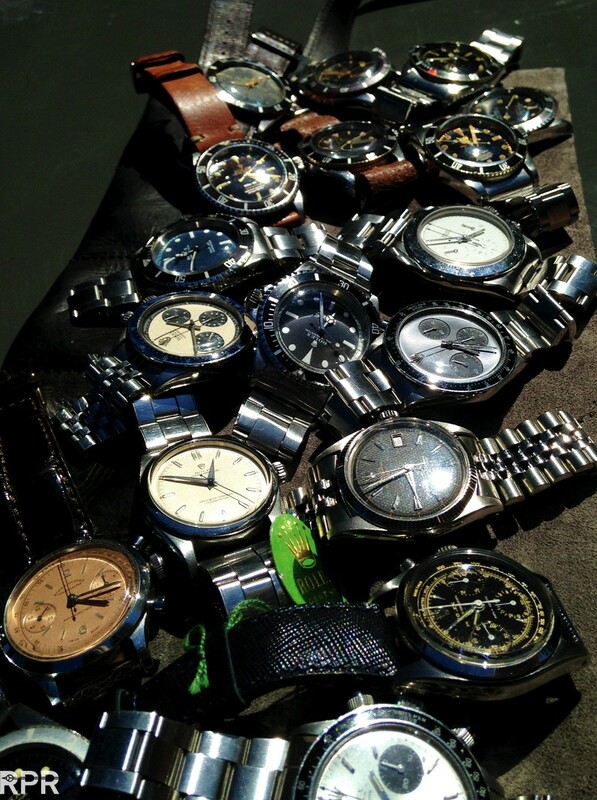 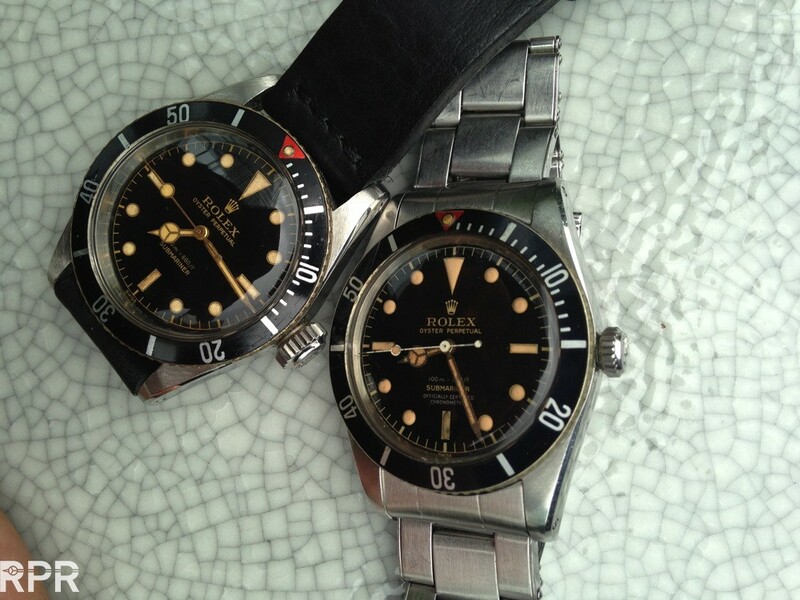 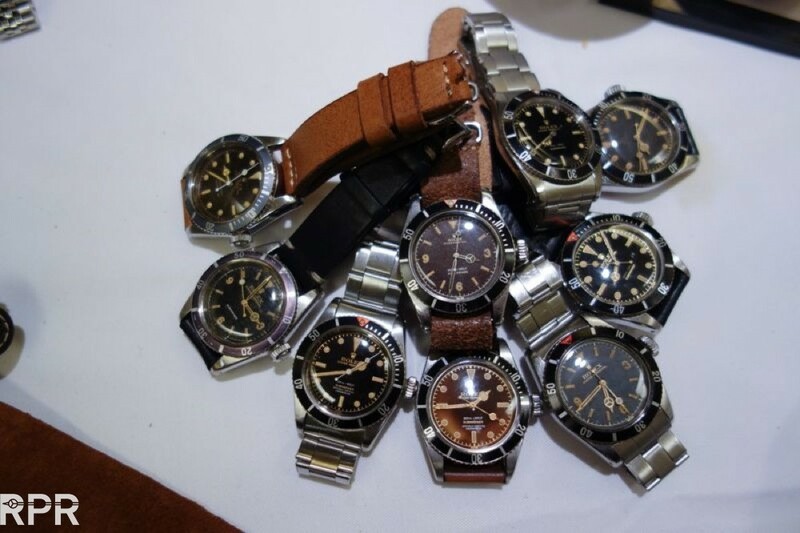 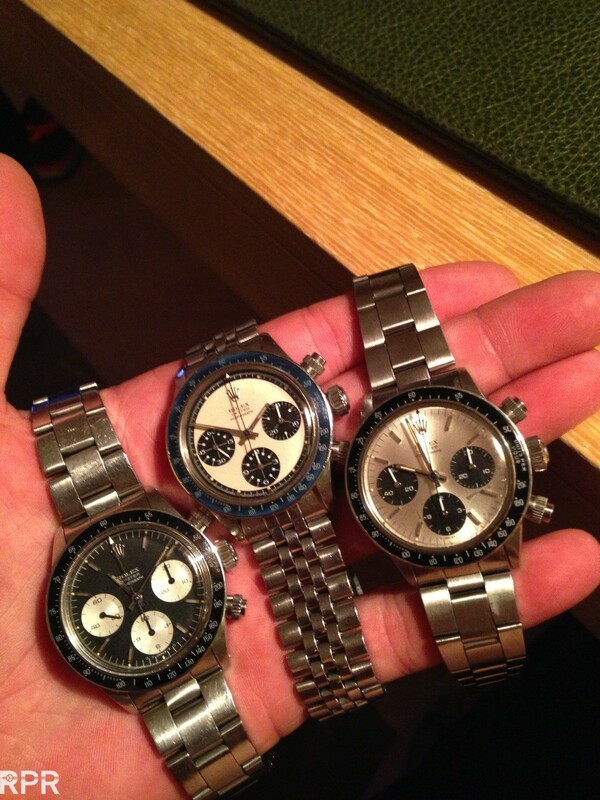 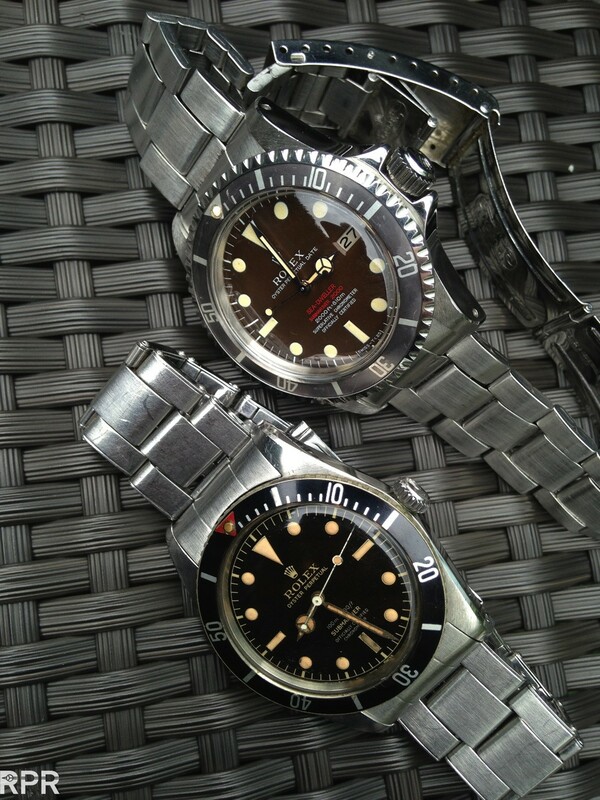 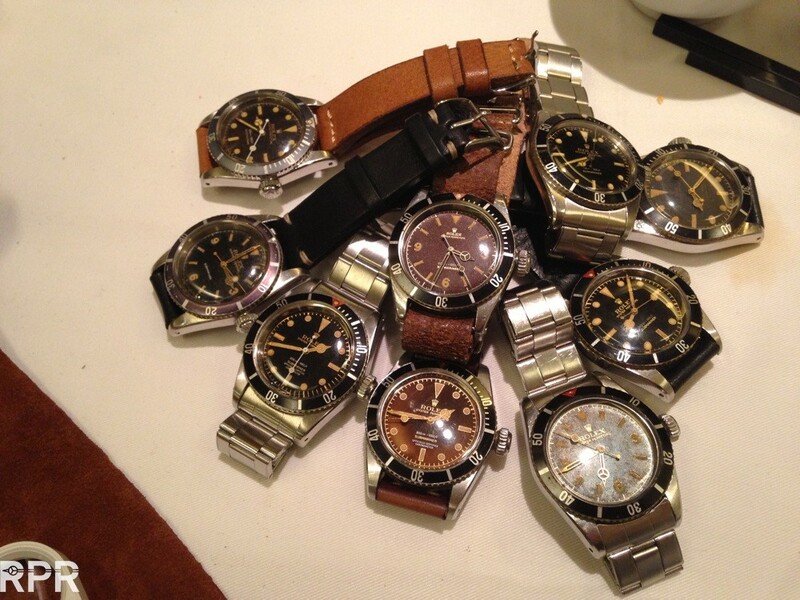 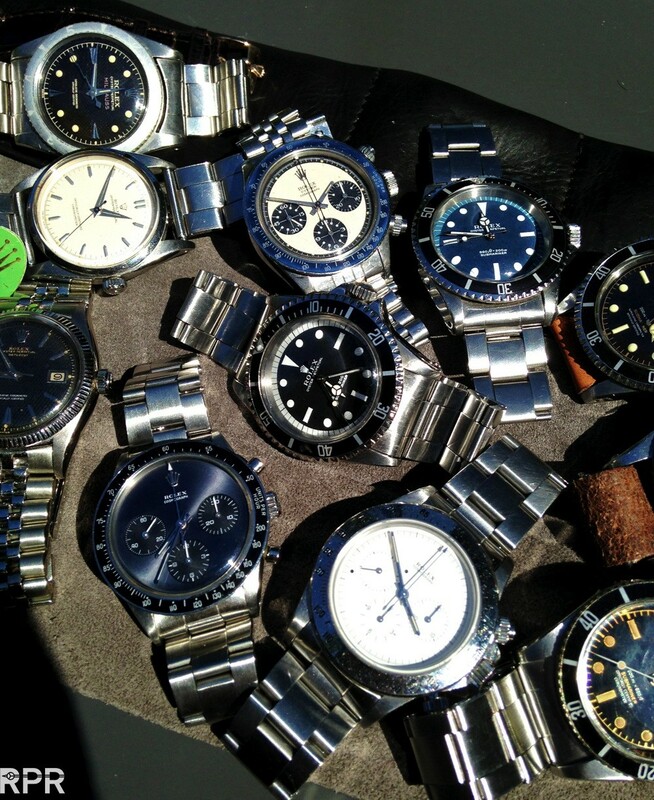 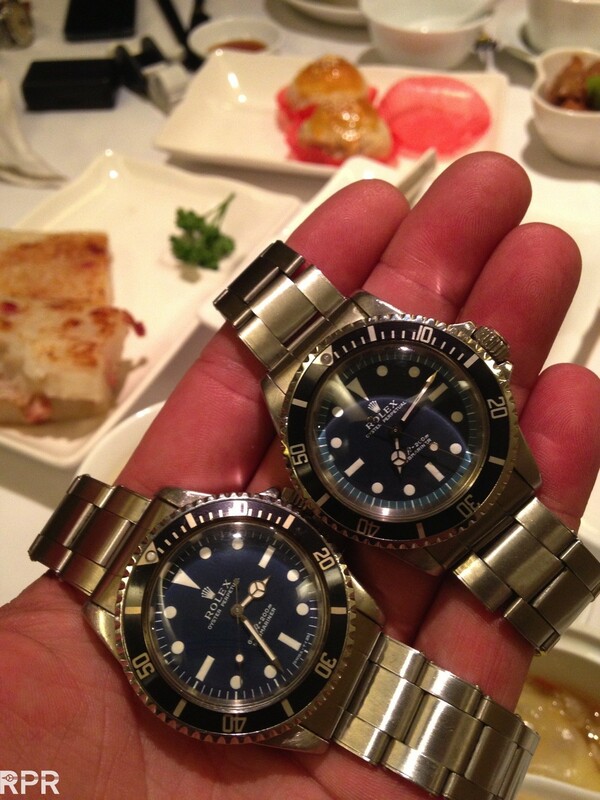 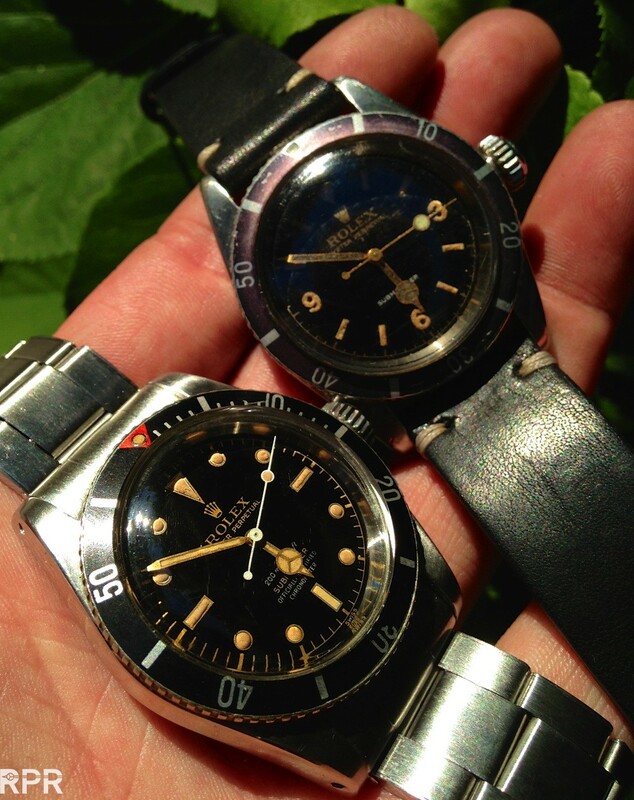 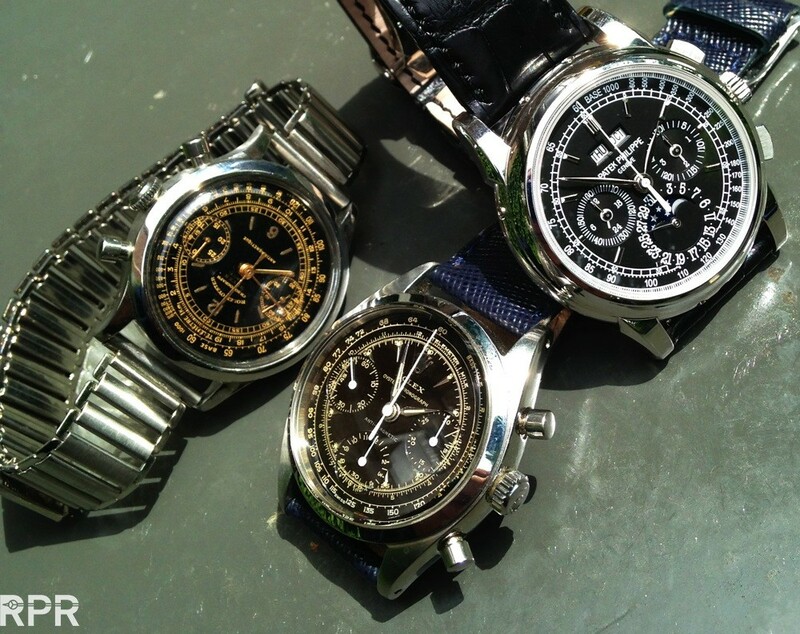 What a spread of ultra rare Rolex we see above come together, spectacular to see the least! 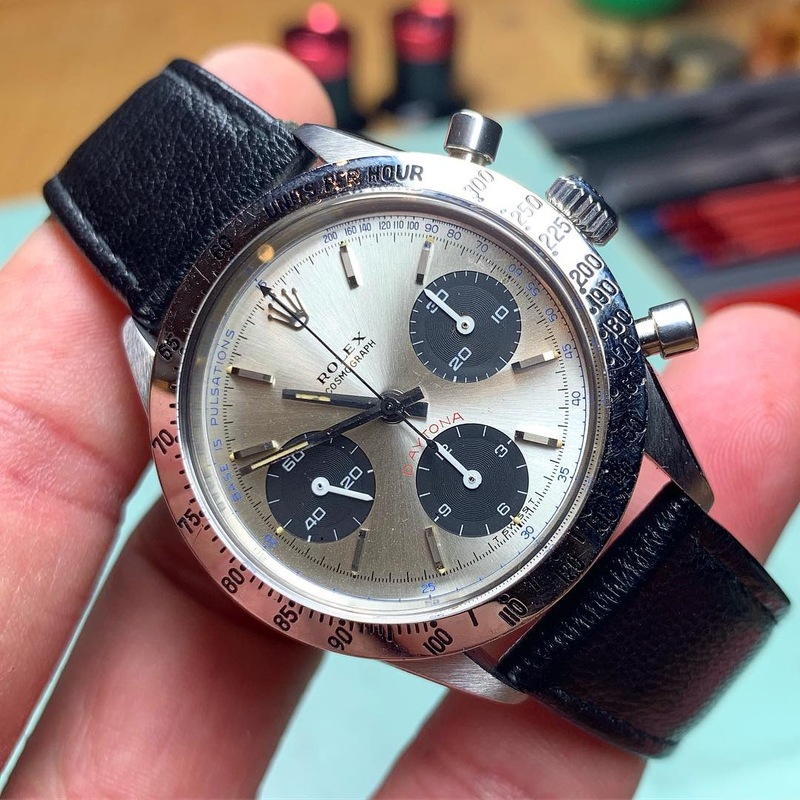 Each and every one has a long story of detail, provenance and Rolex history, all together show off the important role Rolex heritage has played in the general evolution of watchmaking previous century. 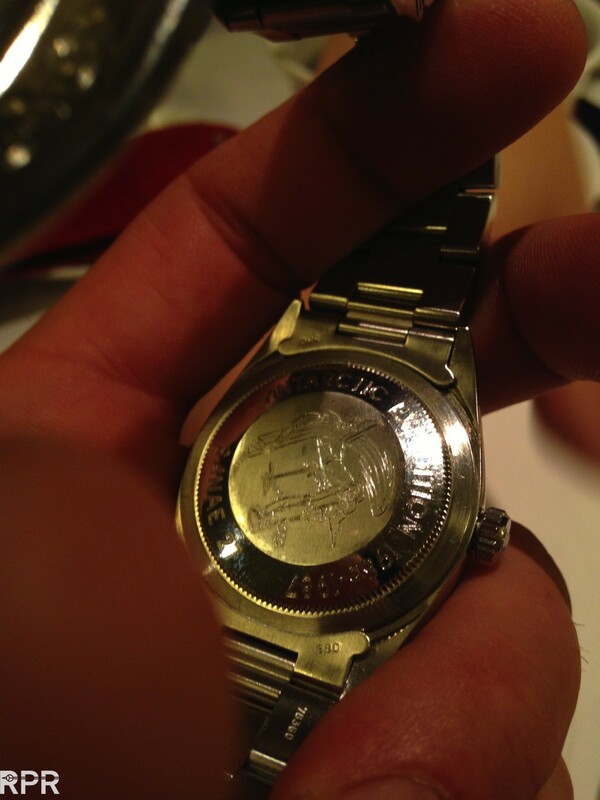 We all know in the meantime that the new bread of collectors are in Asia. 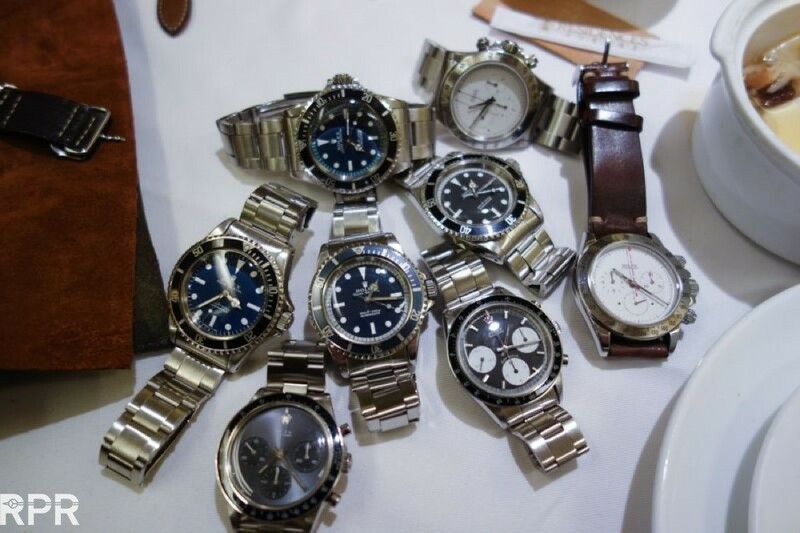 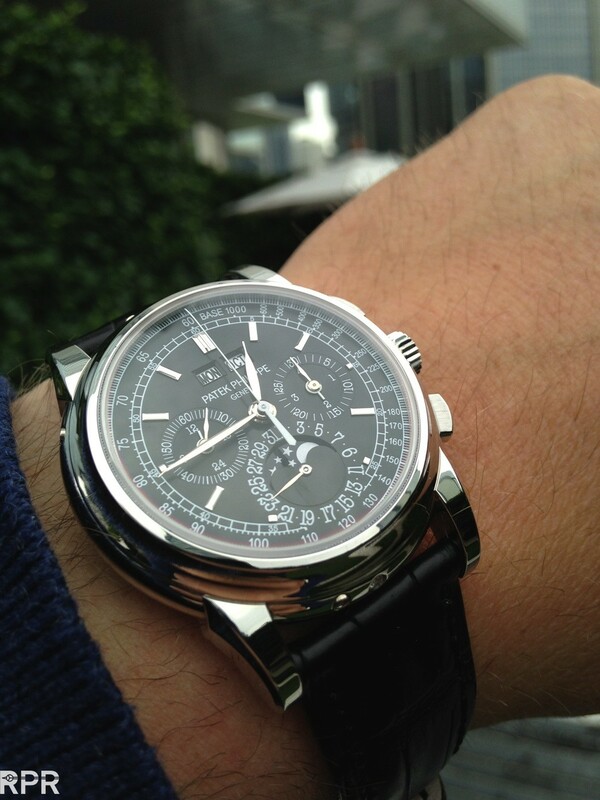 Those that I meet have a extremely well educated eye for detail, very hungry for more precise information the internet doesn’t provide them and continues interest in adding more grails to their impressive watch collections. 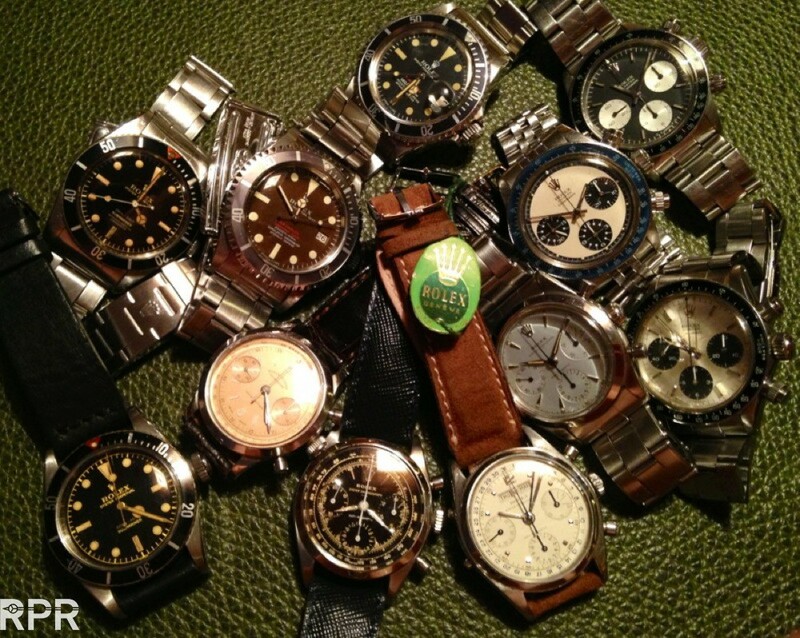 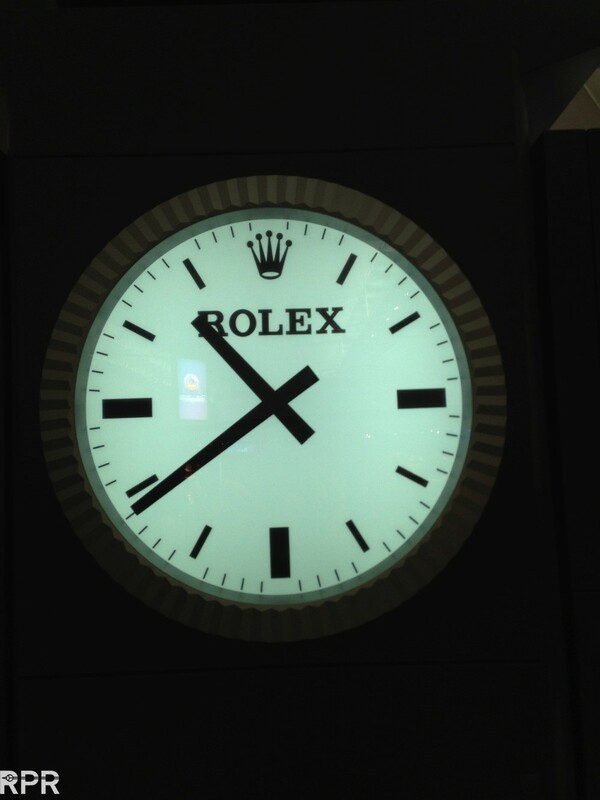 I’m very pleased to see our market develop into a safe place where friends meet all over the world and share their deep passion for vintage Rolex watches & their history… So see you all soon again! 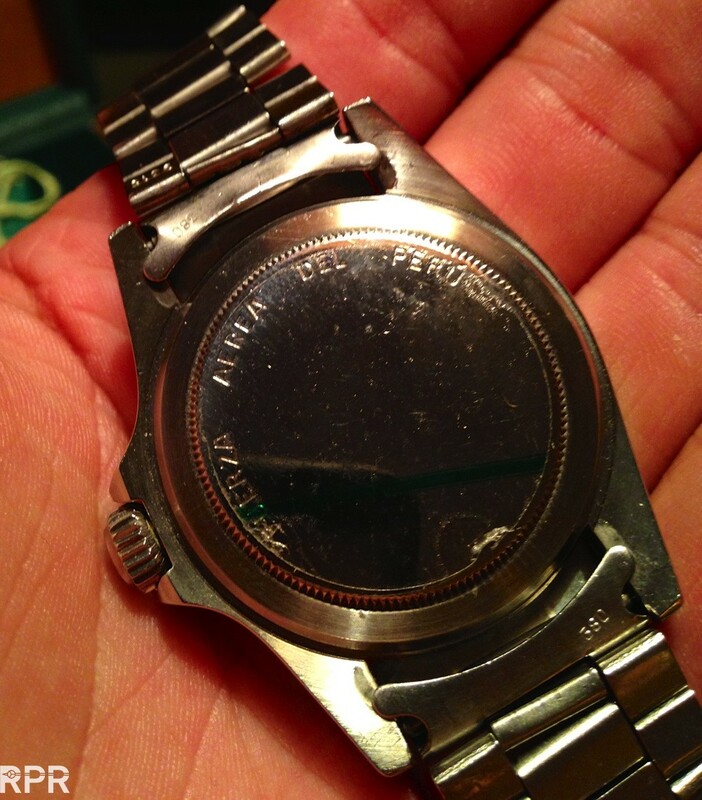 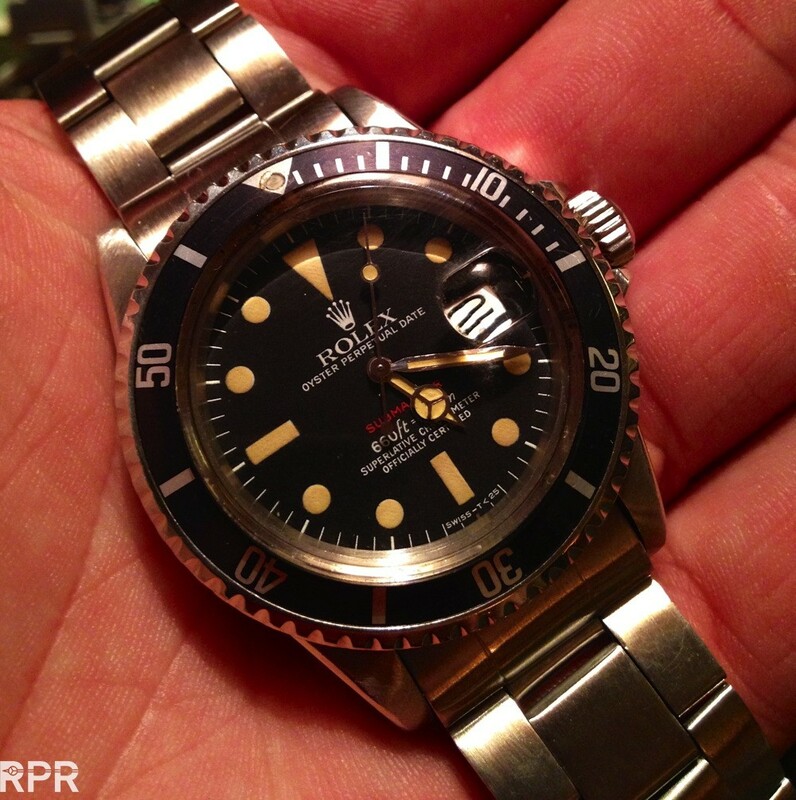 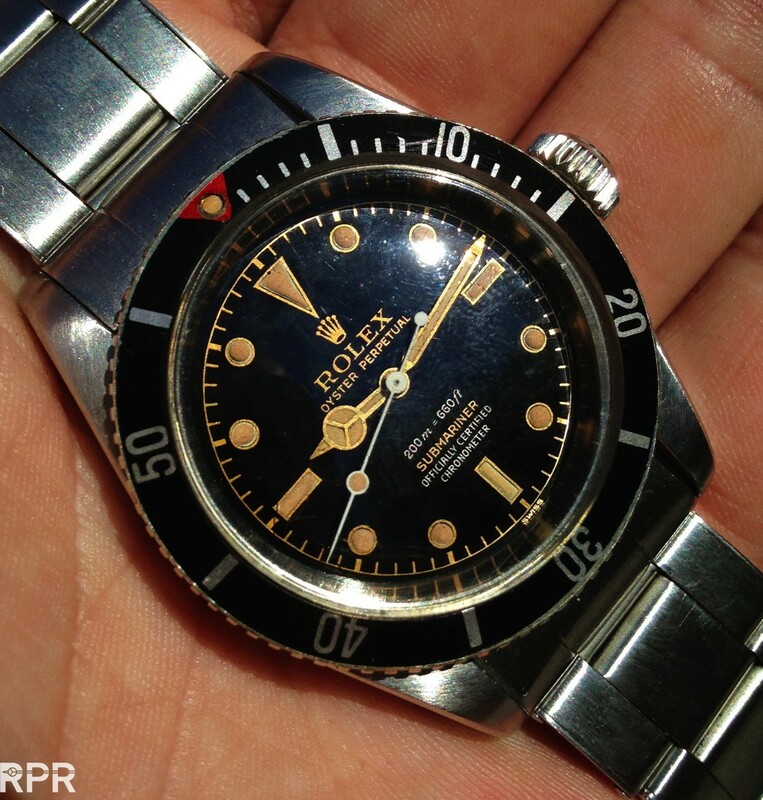 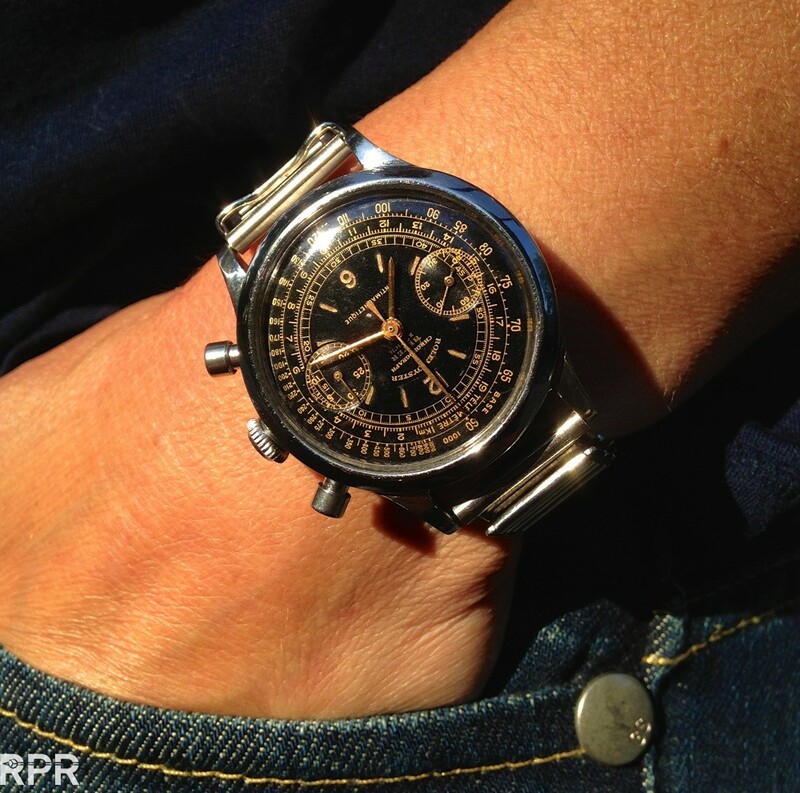 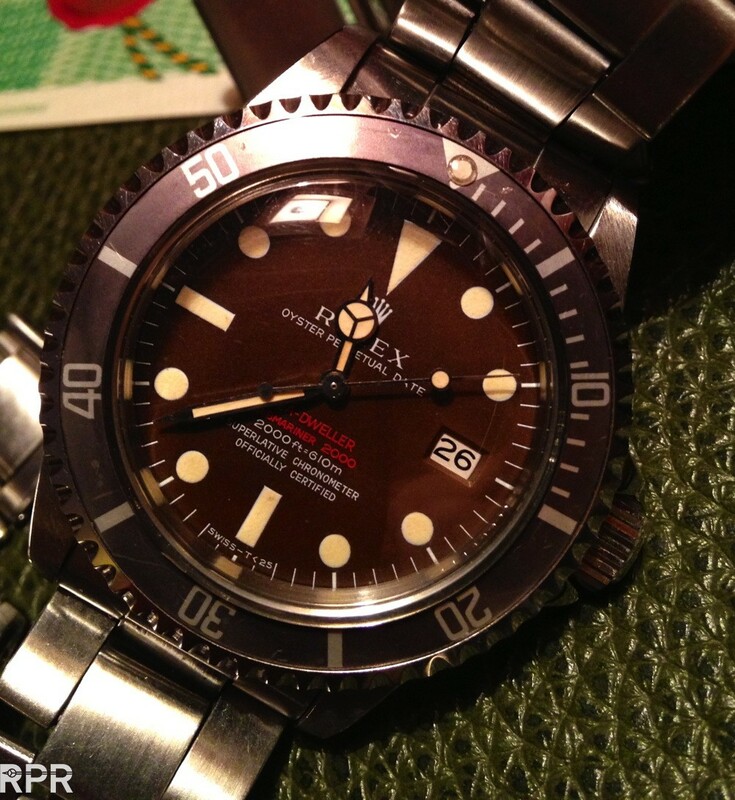 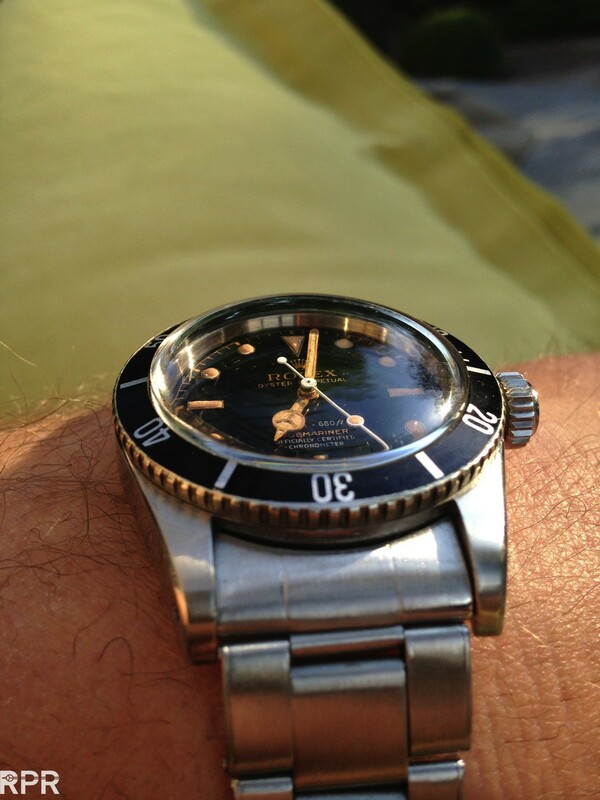 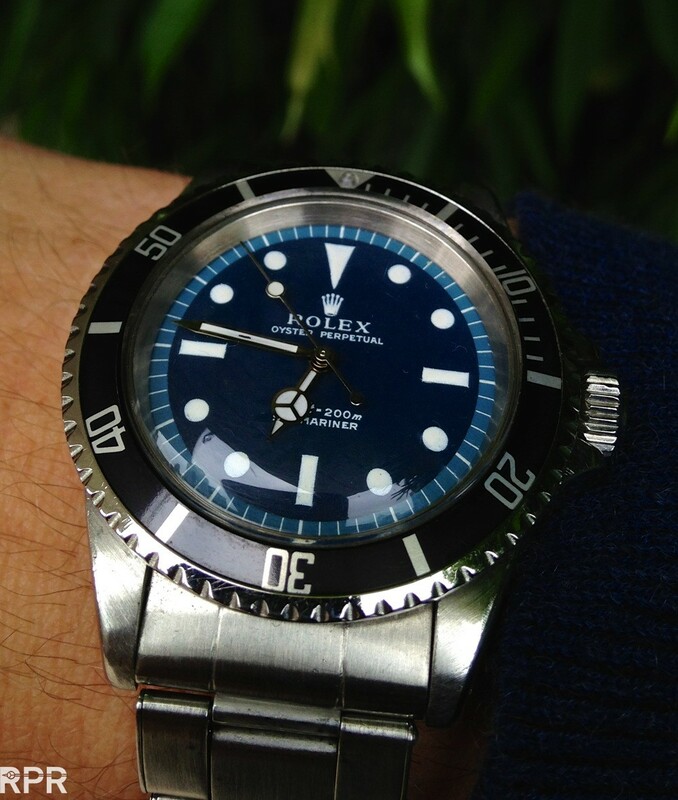 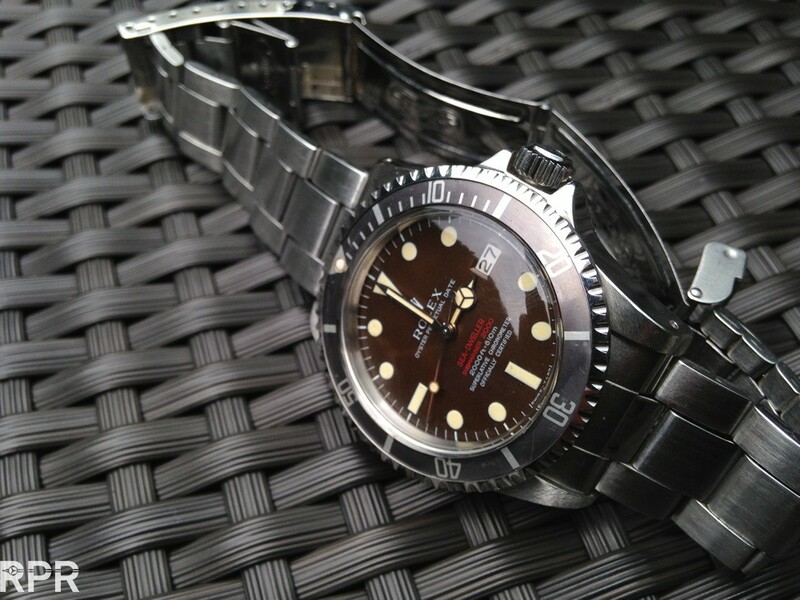 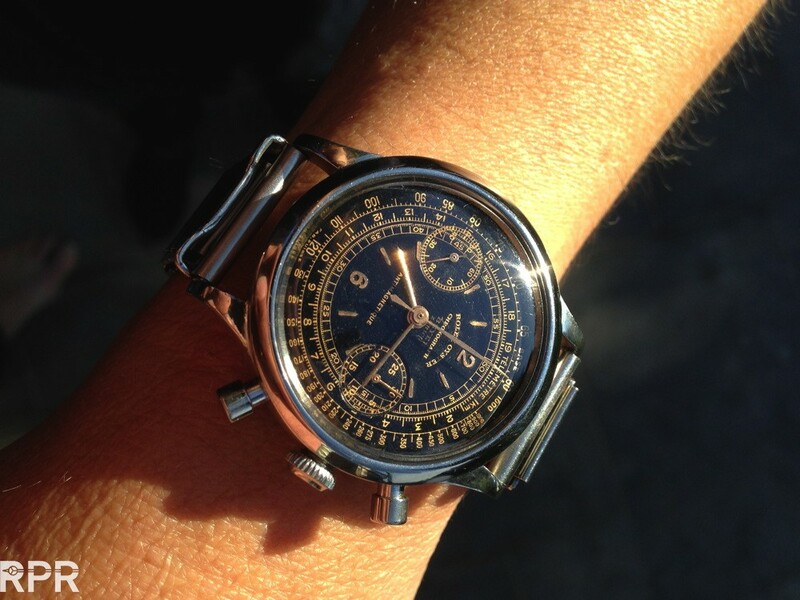 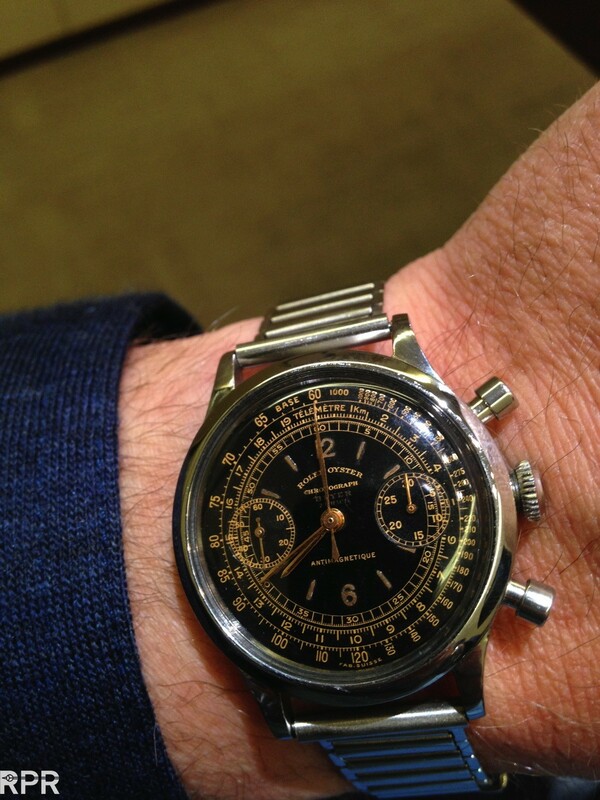 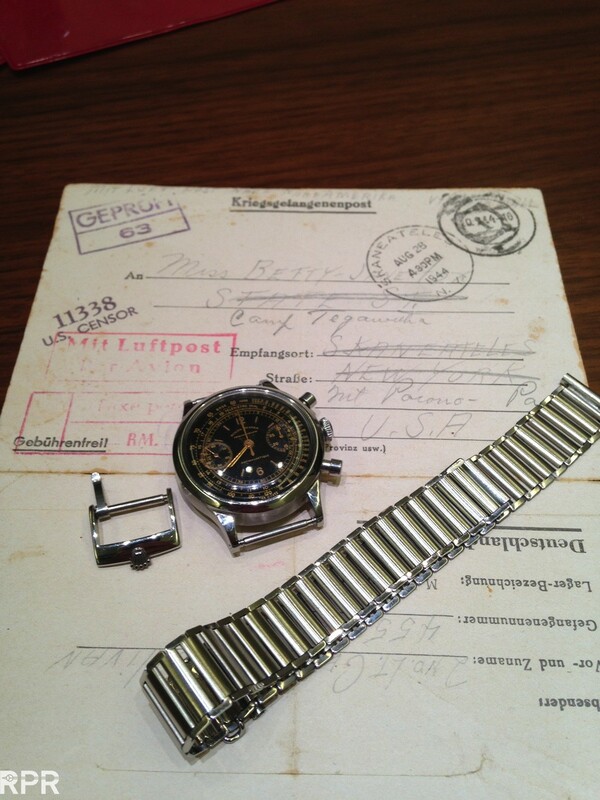 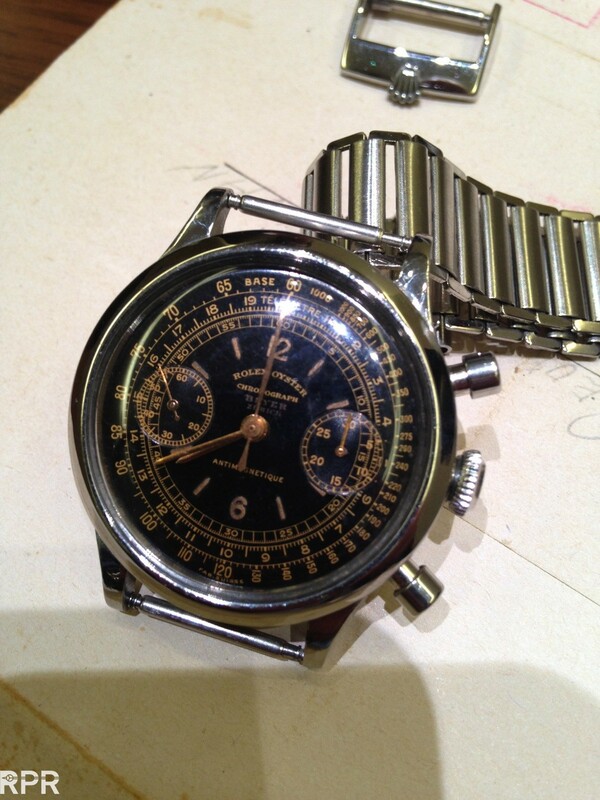 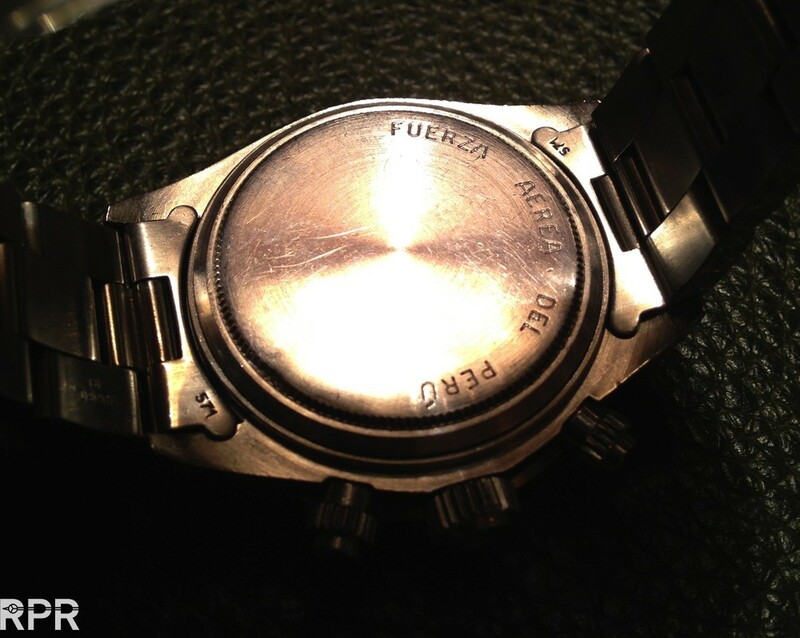 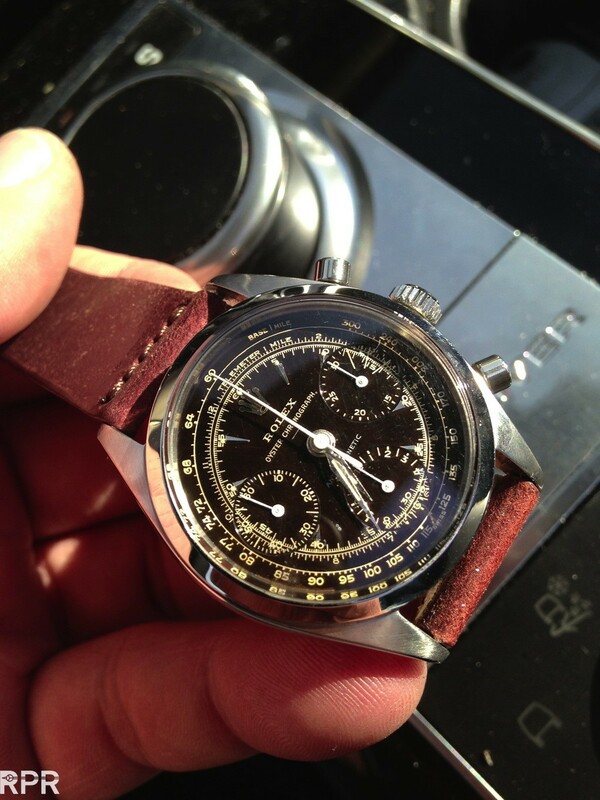 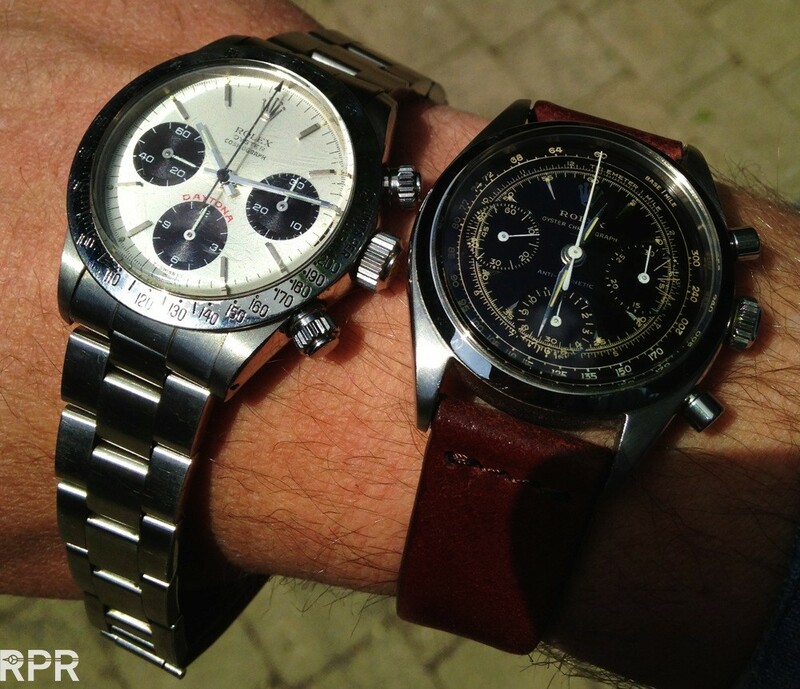 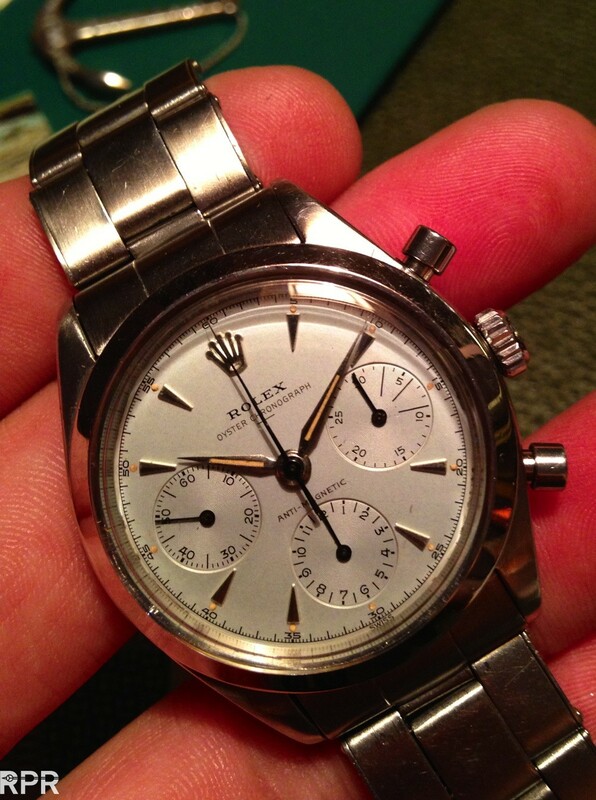 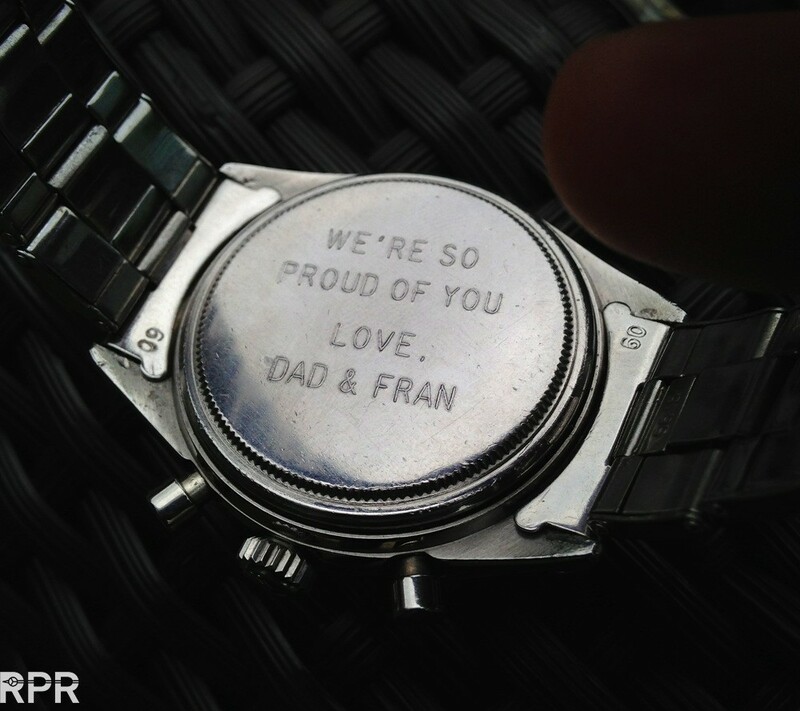 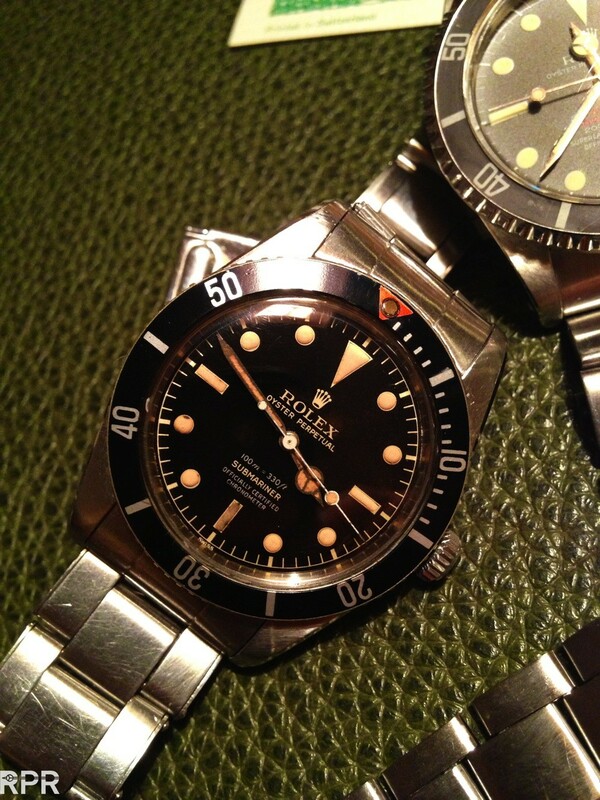 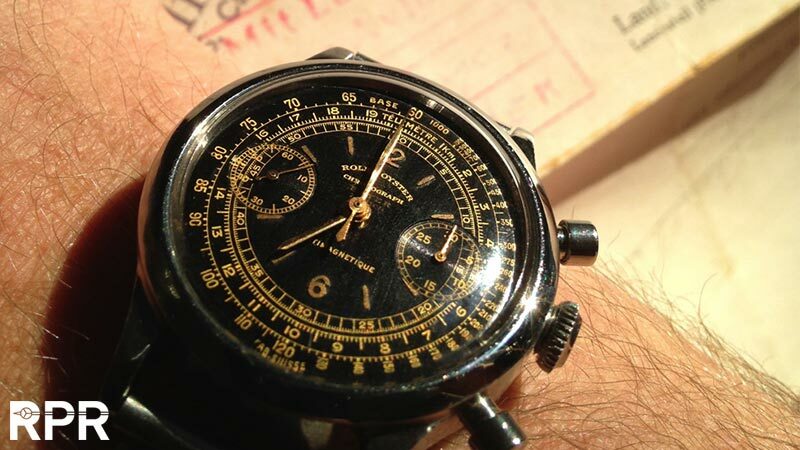 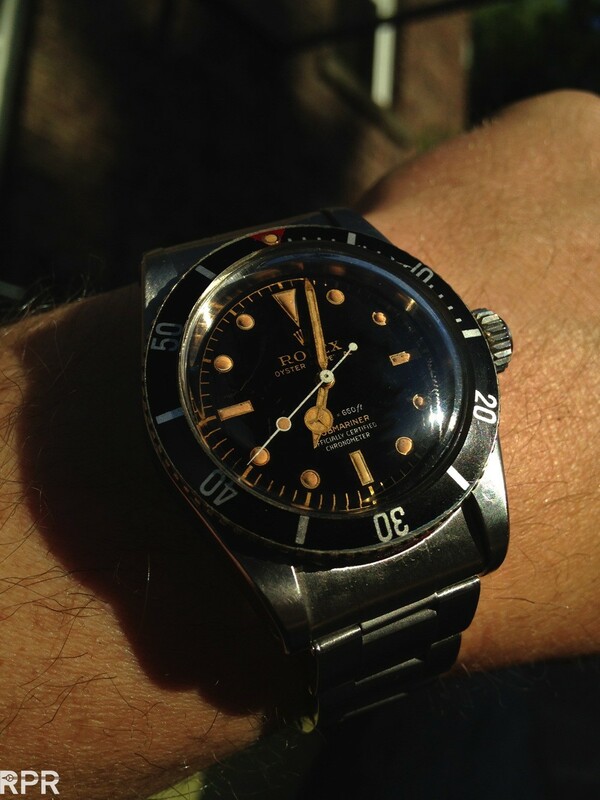 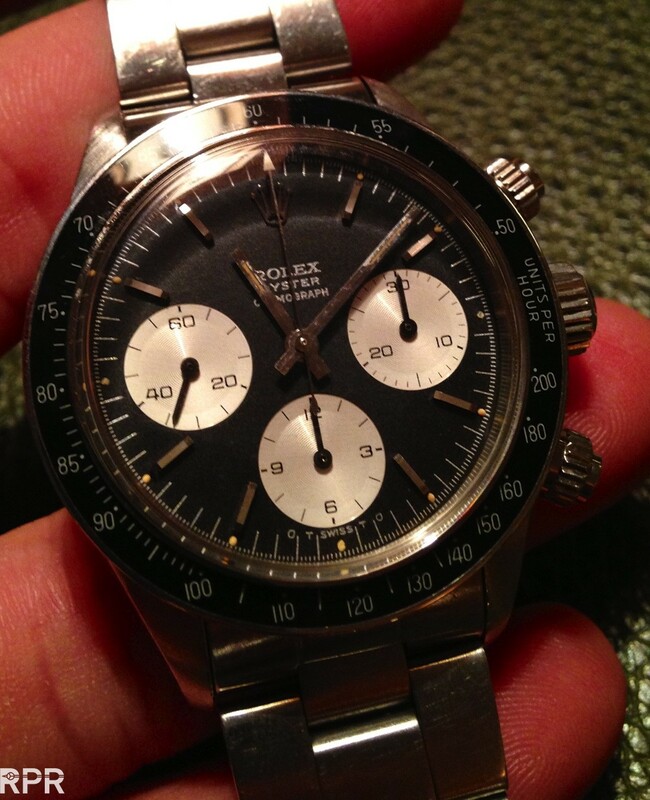 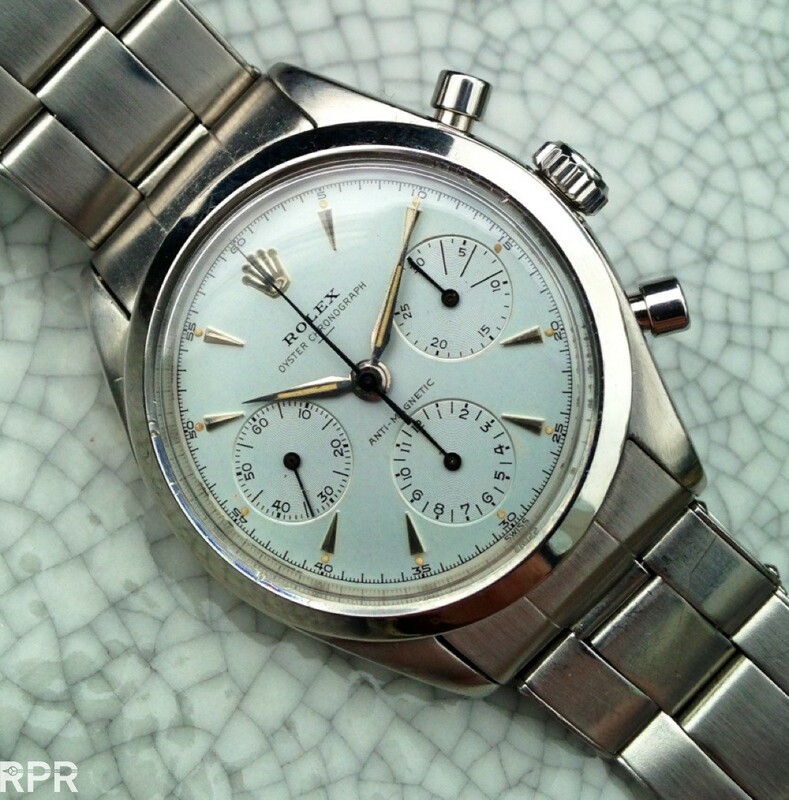 Unique Rolex – Singer Prototype dialswith Toolwatch history in the back, from Submariner ref. 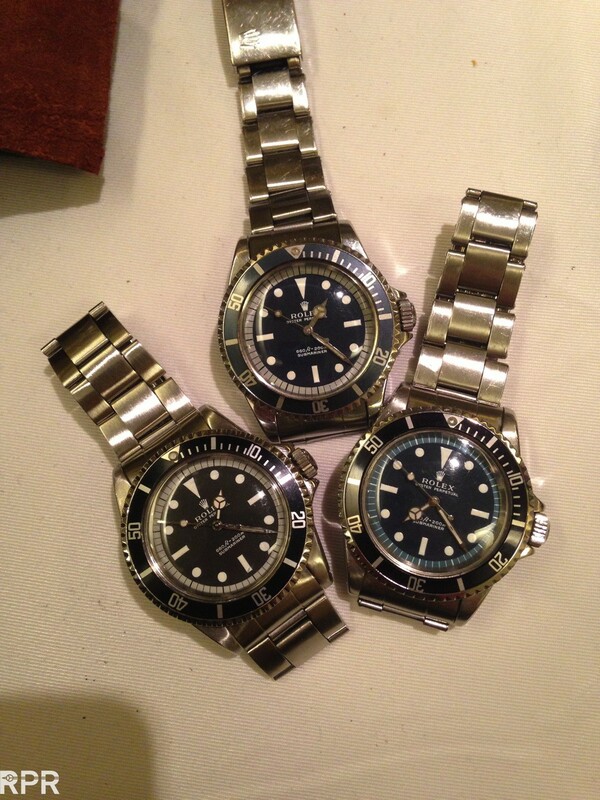 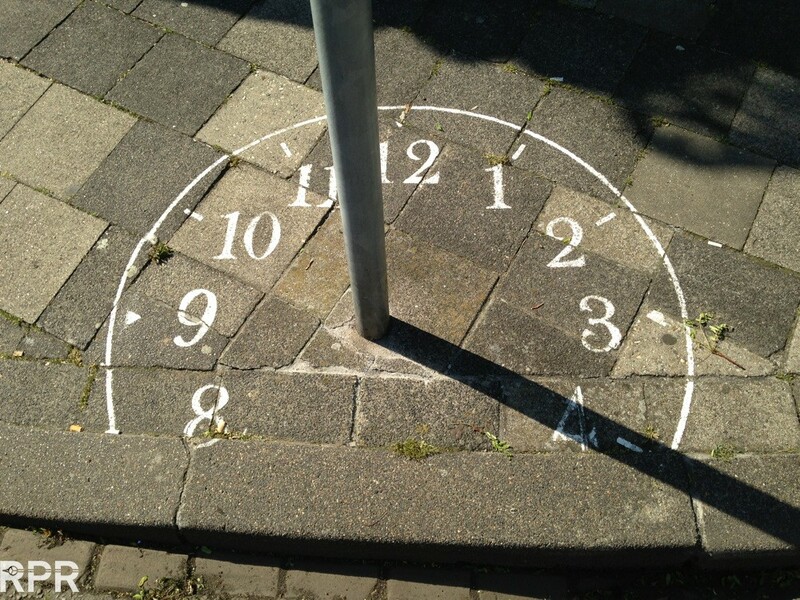 6200 – 6204 – 6536 – 6538 -5508 – 5510 – 5512 – 1680 & 6541.. 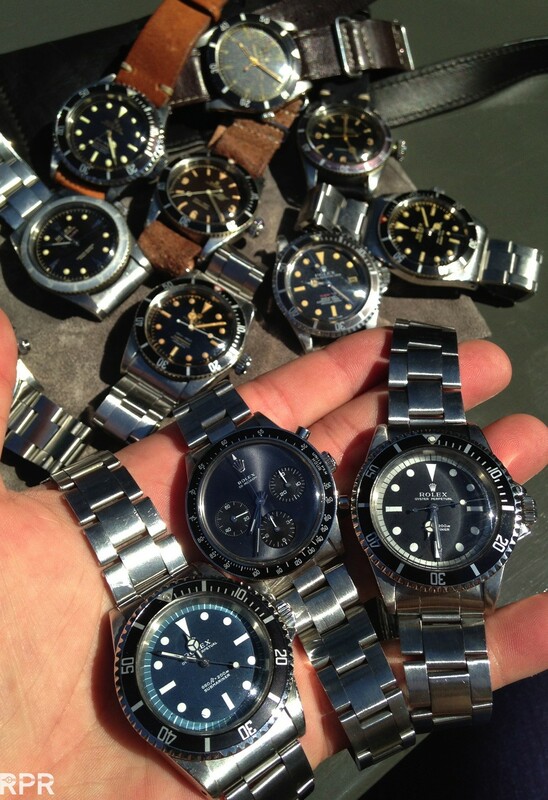 Unusual Rolex color combinations we don’t see every day together… Milgauss 6541, Everest Rolex, Paul Newman 6263, Prototype Submariners in blue & black, white gold Datejust 6305, prototype black sun Cosmograph, prototype Daytona etc..
My glasses that have seen enormous amount of vintage Rolex 😉 next to black Piano Submariner prototype & Big crown 6538 4 liner OCC..
Best modern Patek Philippe ever made imho, Ref 5970 P & tropical brown swiss underline Ref 6234, stunning provenace from 1964 with special white hands..
Ref. 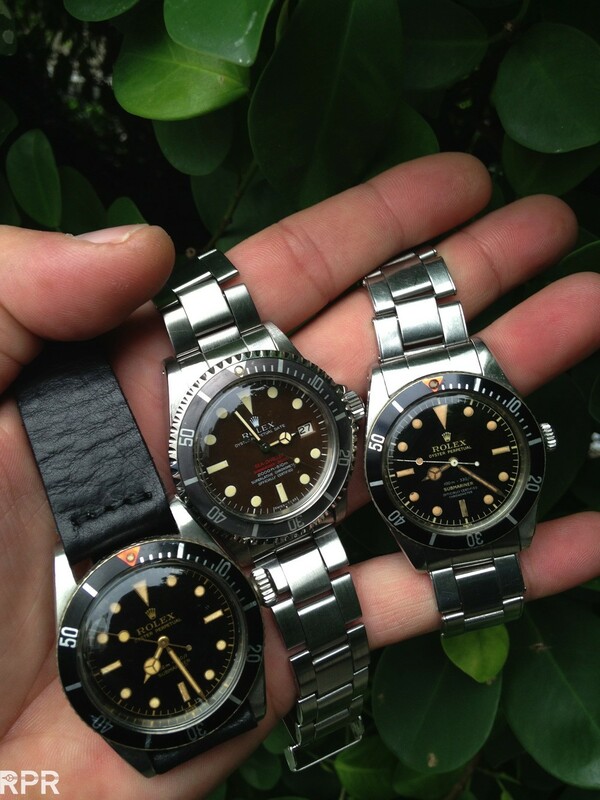 5508 – 4 liner OCC, 1665 MK2 thin case tropical, 1680 FAP redsub, 6263 FAP Daytona, 6263 Paul Newman Oyster, 6263 silver, 6238, 6036 Killy, 6034, salmon 3525 monobloc and 2 line Big Crown Submariner 6538..
Big Crown Submariner festival, ref 6200 with and without Submariner added, 5510 regular and military tropical, 6538 2 line and 4 line black, tropical 4 line and Tudor BC ref 7924..
Salmon dialed with applied numerals, Rolex oyster chronograph as monobloc ref 3525..
Stalag Luft III Prisoner of War ref 3525, sold by Beyer in Zurich, unique 6034 and modern Patek Philippe platinum ref 5970..
Submariner heritage, ref 5508 small crown 4 liner, 1665 Seadweller mk2 tropical, 6538 big crown 2 liner..
Fuerza Aera del Peru FAP Redsub 1680 with papers..
Trio of Rolex Submariner james bond big crowns, ref 6538’s.. 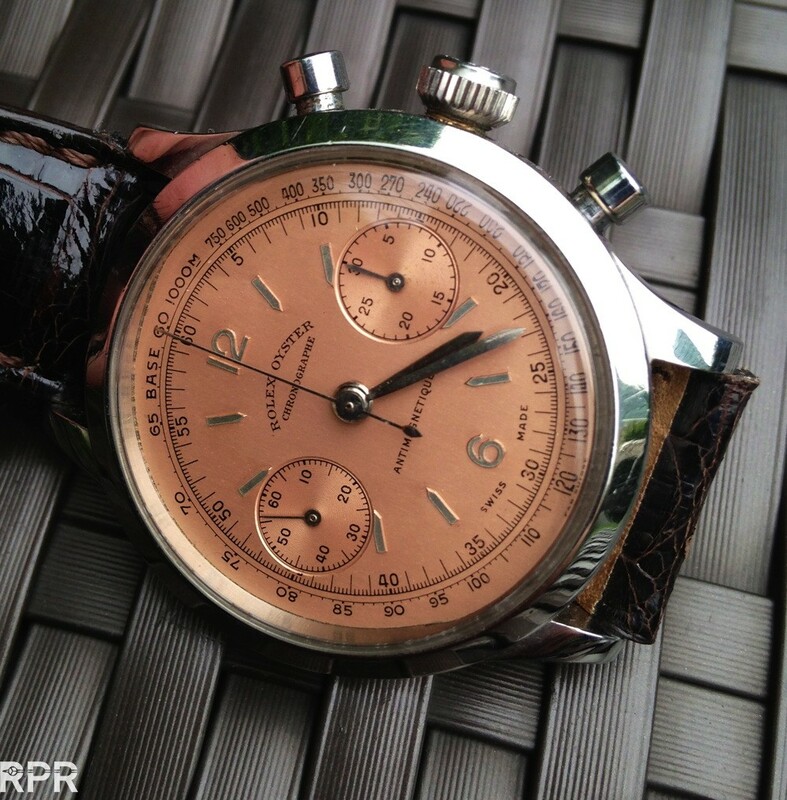 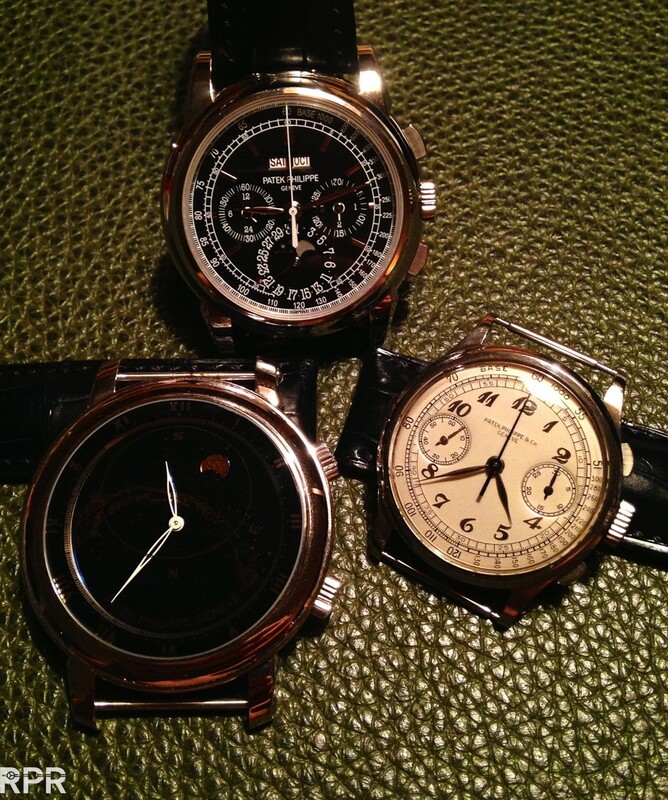 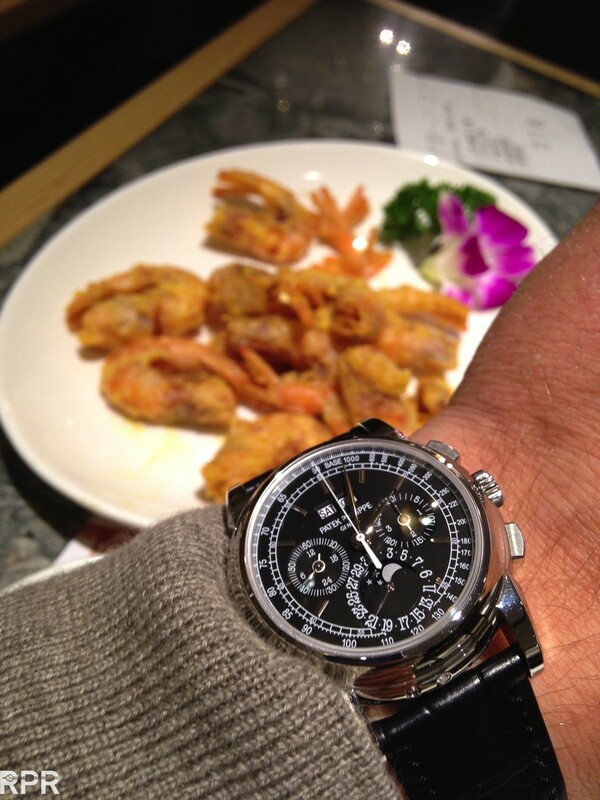 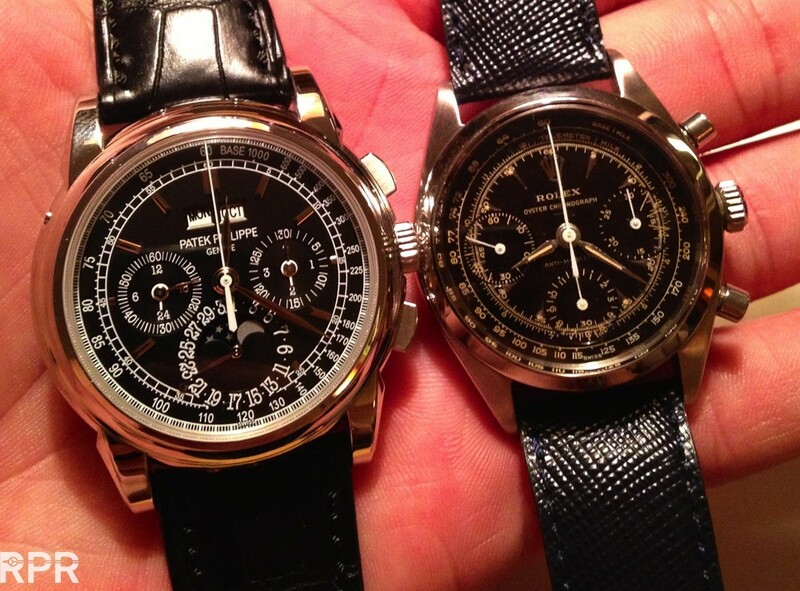 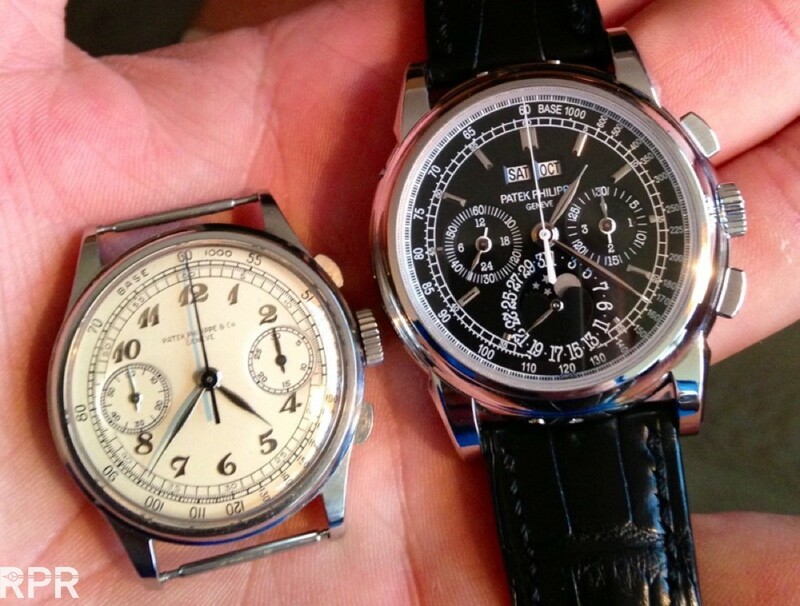 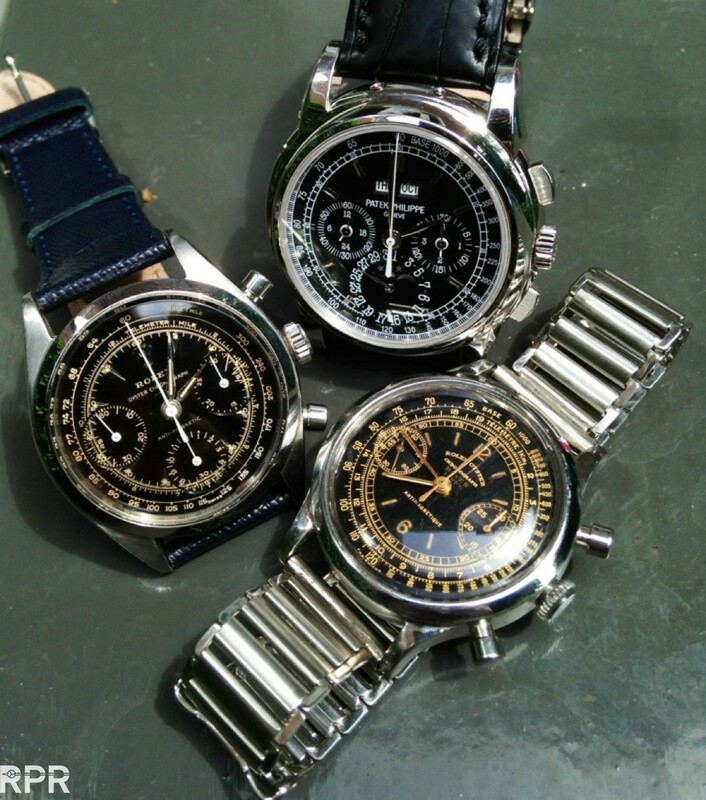 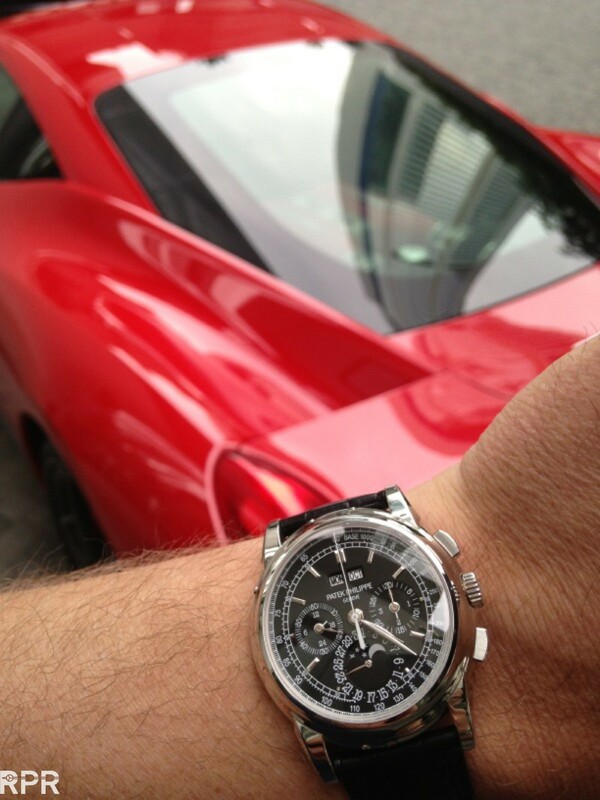 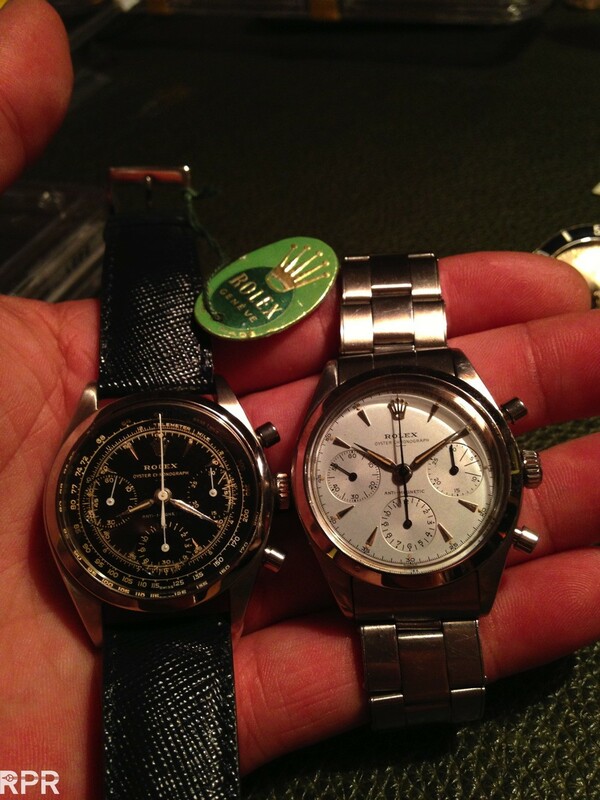 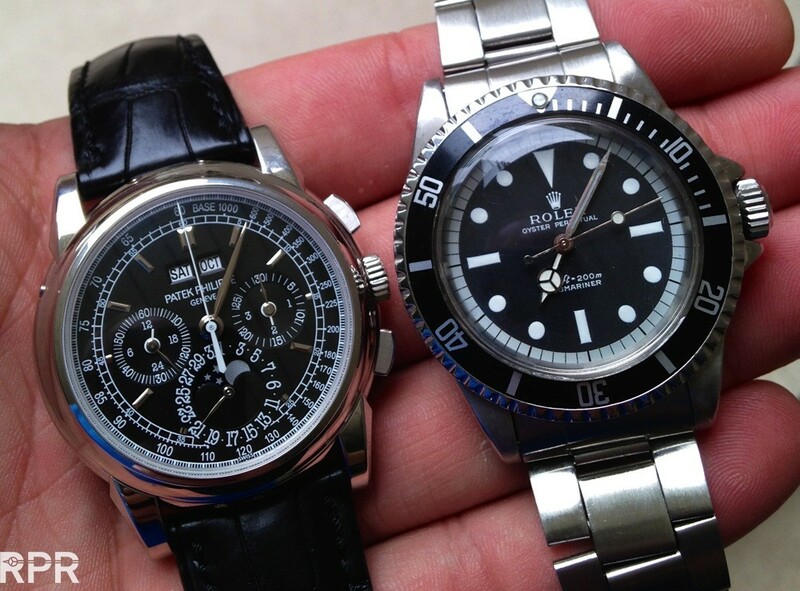 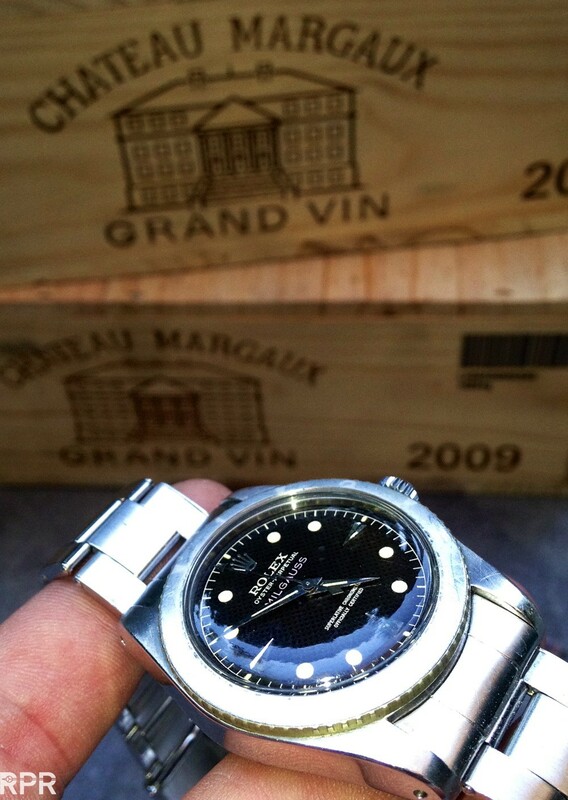 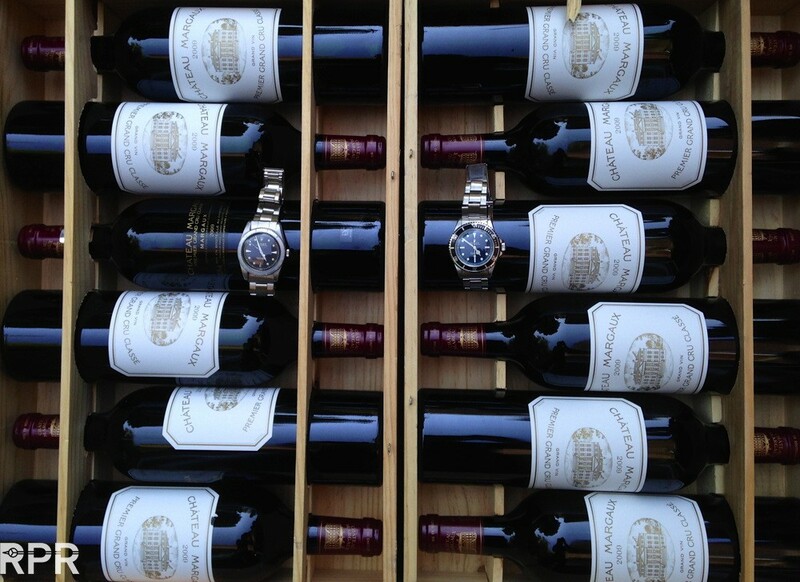 Marvelous breguet dialed Patek Philippe ref 130 next to modern PPC 5970 P..
Chateau Margaux 2009 with Milgauss 6541 tropical.. 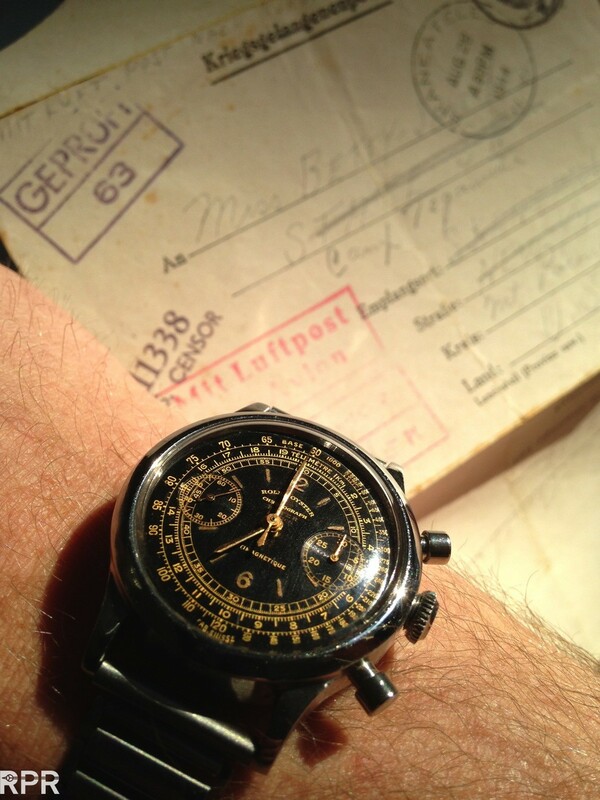 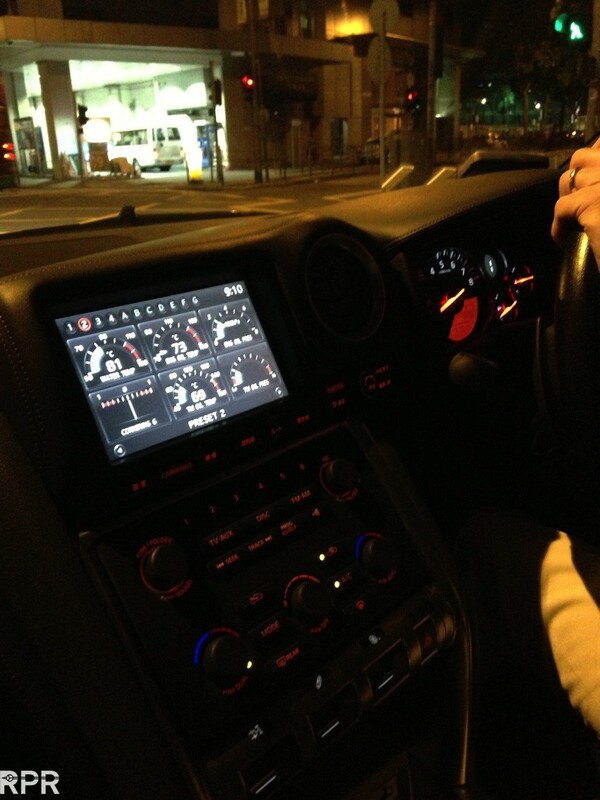 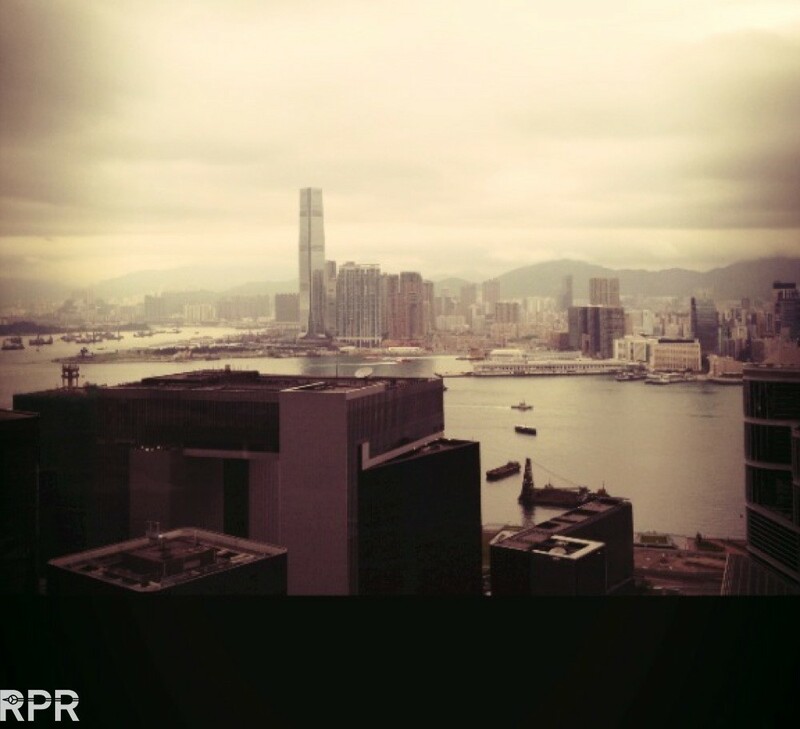 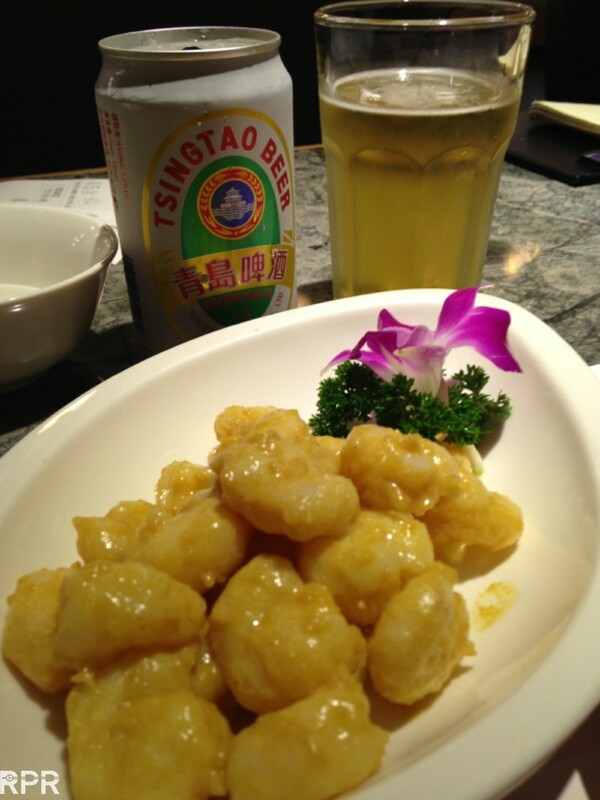 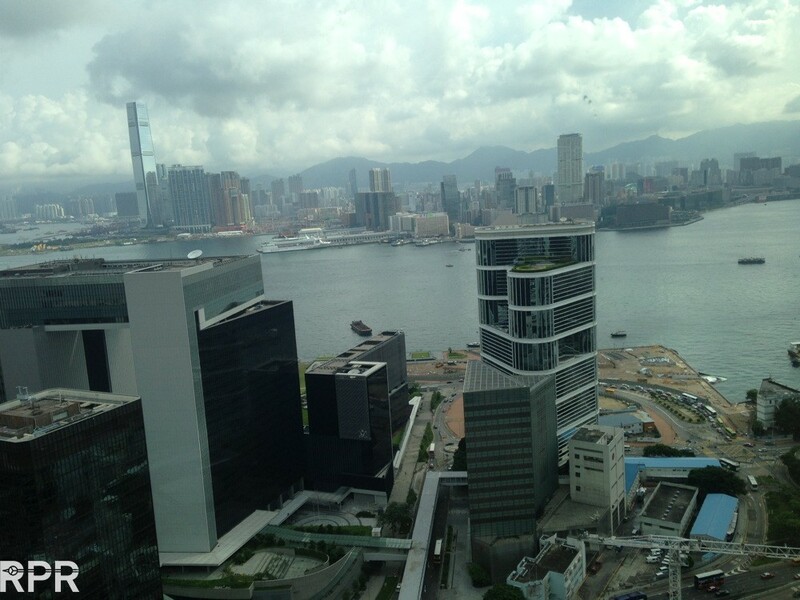 This post was written by Philipp on June 18, 2013.